Physically maturing every night, having a night of proper sleep is extremely important for a growing child. A general rule of thumb for the recommended amount of sleep for children is as follows – preschoolers (3 to 5 years old) requiring 10 to 13 hours of sleep and school-aged children (6 to 14 years old) requiring 9 to 11 hours of sleep. Kids at different stages of their development require a different mattress type to ensure the correct spinal alignment while sleeping and to promote a healthy growth spurt. Well-known for our premium latex mattresses manufactured in Belgium, Sofzsleep mattresses are inherently hypoallergenic, antibacterial, odour and dust-mite free. The mattress covers are removable and can be washed or dry cleaned, ensuring that your child sleeps in a fresh and sterile environment for many years. 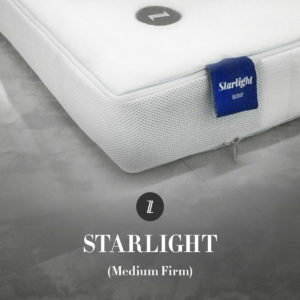 The Starlight (Single $890, Super Single $990) mattress boasts a dual-firmness-dual-comfort feature, being essentially two mattresses in one. Flipping the mattress over will vary the firmness of the mattress from a medium to a firm rating, allowing your kid to choose the firmness of the mattress while growing. The Adaptive®-Coolmax® mattress cover regulates temperature, increases evaporation and wicks away extra moisture from the mattress. This enables your child to have a dry and comfortable environment to sleep in, despite Singapore’s tropical weather. Being 14 cm thick, Starlight is perfect for bunk beds, which usually have a safety height requirement of 15 cm or below for the mattresses. The Moonlight (Single $680, Super Single $780) mattress has a slim profile which caters to a multitude of bed frames and sizes, making it especially great for children with pull-out beds, or for putting it on the floor for preschoolers to sleep on. 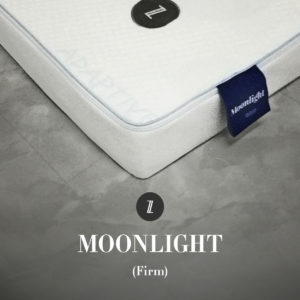 A no-frill, durable latex mattress, Moonlight comprises of a 10 cm thick latex core. The flat Adaptive®-Coolmax® mattress cover can be easily removed for machine-wash, making it the idea choice for toddlers who are in the potty-training stage. 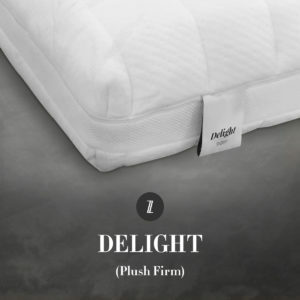 Delight (Single $1199, Super Single $1299) features a firm core with a separate plush topper on it, providing the perfect support as your child drifts off to sleep. It allows the body to rest in its natural spinal alignment, relieving any pressure points by shaping and adjusting itself as your child moves throughout the night. The mattress cover is made of Bamboo fibre for its natural anti-bacterial and antifungal properties which makes it ideal for children with sensitive skin or allergies. Delight is the excellent choice for teenagers and children who toss and turn in their sleep, as it adapts perfectly to the contours of the body, no matter if the sleeper sleeps on the back, side, or front. Sofzsleep’s children mattresses are certified STANDARD 100 by OEKO-TEX®, a certification system for textiles that are free of toxic and harmful substances. In addition, we are also LGA-certified, which ensures the durability of our children mattresses. Head down to our showrooms near you, and let your child try out the mattresses this weekend, for only your child knows best.